Prometheus Unbound’: Karl Marx & Soren Kierkegaard; the religuos individualism of Kierkegaard is contrasted with the socio-economic & political approach of Marx. Here in Episode 4 of SoF, Cupitt looks the attempt to find an origin for values in a post enlightenment secular world. In this thoughtful and discursive series Rev Prof Don Cupitt explores how Christian thought nurtured, and responded to an increasingly materialist/realist/rationalist modern world-view. Cupitt consideredly meanders through the works and lives of a miscellany of thoughtful coves including Galileo, Pascal, David Strauss, Kierkegaard, Jung, Schopenhaurer, Annie Besant, Vivekananda, Albert Schweitzer, Nietzsche, Wittgenstein and others. This learned, yet accessible, and frankly slightly odd series, is just the sort of thing you don’t see on TV anymore. History. Western Thought, Christianity, Christian Existentialism, Western thought, Marxism, Communism, Religion, Theology, Philosophy, God. At Berkeley the Free Speech Movement arose simultaneously with the hippie world of drugs. … but rather a call for the freedom to express any political views on Sproul Plaza. 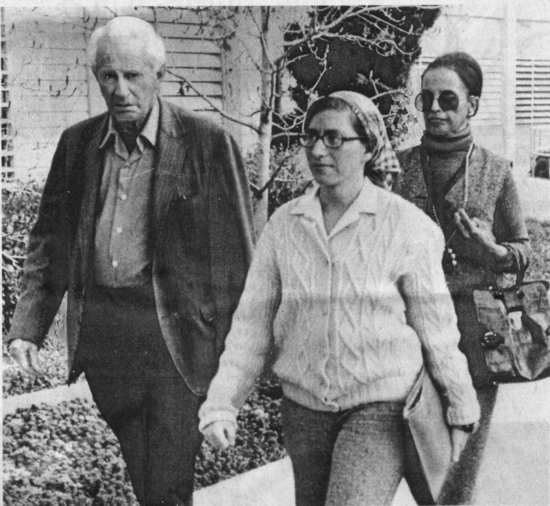 … followed the teaching of Herbert Marcuse (1898-). Marcuse was a German professor of philosophy related to the neo-Marxist. Francis Schaeffer is a hero of mine and I have posted many times in the past using his material. This post below is a result of his material.. Communism has never been tried is something I was told just a few months ago by a well meaning young person who was impressed with the ideas of Karl Marx. I responded that there are only 5 communist countries in the world today and they lack political, economic and religious freedom.WHY DOES COMMUNISM FAIL? 1970 bombing took away righteous standing of Anti-War movement. In the United States the New Left also slowly ground down,losing favor because of the excesses of the bombings, especially in the bombing of the University of Wisconsin lab in 1970, where a graduate student was killed. This was not the last bomb that was or will be planted in the United States. Hard-core groups of redicals still remain and are active, and could become more active, but the violence which the New Left produced as its natural heritage (as it also had in Europe) caused the majority of young people in the United States no longer to see it as a hope. So some young people began in 1964 to challenge the false values of personal peace and affluence, and we must admire them for this. Humanism, man beginning only from himself, had destroyed the old basis of values, and could find no way to generate with certainty any new values. In the resulting vacuum the impoverished values of personal peace and affluence had comes to stand supreme. And now, for the majority of the young people, after the passing of the false hopes of drugs as an ideology and the fading of the New Left, what remained? Only apathy was left. In the United States by the beginning of the seventies, apathy was almost complete. In contrast to the political activists of the sixties, not many of the young even went to the polls to vote, even though the national voting age was lowered to eighteen. Hope was gone. Carla Fernández was born in 1973 in Saltillo, Mexico, and is based in Mexico City. Drawing inspiration from the geometric shapes of Mexican textiles and patterns, Fernández works closely with communities of indigenous artisans and craftspeople to create her clothing, textiles, and housewares for her eponymous fashion label. Guided by the ethos that tradition is not static and fashion is not ephemeral, Fernández travels throughout Mexico, visiting artisans who specialize in centuries-old techniques—such as weaving, handlooming, embroidery, mud dyeing, and leather working—and employs them to contribute in the production of new pieces and collections. Fernández’s practice serves as a reconceptualization of the ways in which cultural heritage and tradition can thrive in a globalizing, homogenizing world. « RESPONDING TO HARRY KROTO’S BRILLIANT RENOWNED ACADEMICS PART 149 WW Sir Bertrand Russell once said if atheism was true we’d have no choice but to build our lives upon “the firm foundation of unyielding despair” and that ties in well with other modern secular philosophers!! !